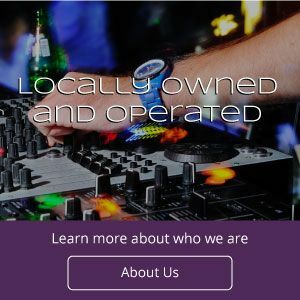 Locally owned and operated Prairie Mobile Music is the oldest mobile DJ service in Grande Prairie. We provide professional DJ entertainment services and a great party atmosphere for all types of events, including school dances, weddings and anniversary celebrations, birthday and retirement parties, and corporate events. 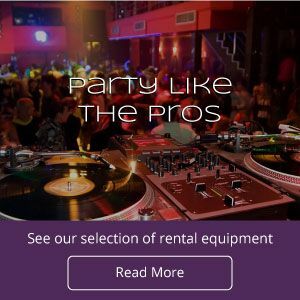 Prairie Mobile Music is also your local source for a wide variety of party equipment and accessories rentals, including audio equipment and lighting, video systems, special effects and more. 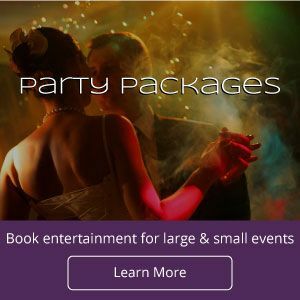 We provide service according to your schedule, offering professional entertainment and music 24/7 in Grande Prairie and locations throughout Peace Country, as well as parts of Northern Alberta and Northern British Columbia. Please contact us for details or to book your date.